The conversion process is a path to becoming a member of the Jewish people as well as an active member of the Jewish community. Each year, Rabbi Karol teaches an introduction to Judaism course entitled “Judaism: Roots and Rituals.” Participation in that class (see the rational for the class below) is one of the requirements at Temple Beth-El for conversation (see the requirements noted below). 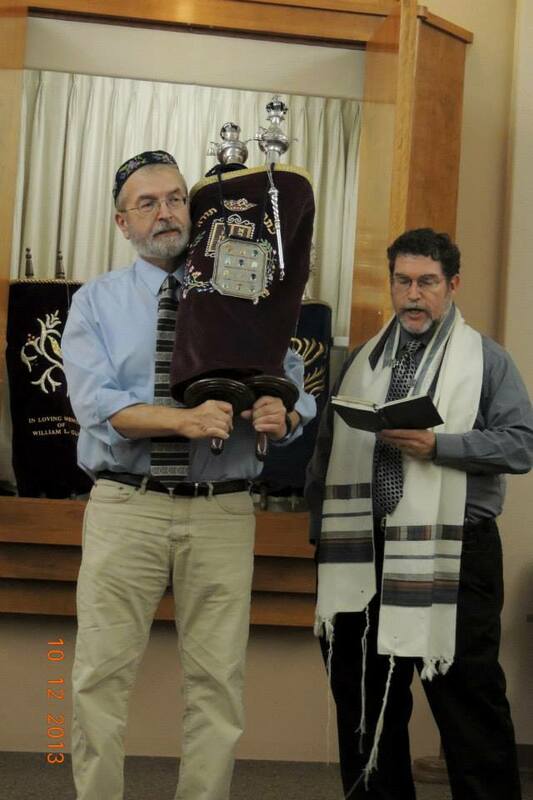 Please contact Rabbi Karol at Temple (rabbi@tbelc.org) if you have questions or are interested in conversion to Judaism. This course (lasting 10 weeks, beginning in late October) in Judaism: Roots and Rituals is offered by Temple Beth-El to anyone who would like to learn about Judaism, review his or her Jewish knowledge, or has expressed an interest in conversion to Judaism. Students will explore Jewish identity, God, Bible, Jewish laws and values, life-cycle ceremonies, the Jewish calendar and holidays, the synagogue, prayer, Judaism and Christianity, the Holocaust, Jewish historical events, movements and issues, and Israel. This course is intended to foster a fundamental understanding of Judaism among those who attend. Along with participation in Sabbath and holiday observance, this class can provide a strong foundation for identification with the Jewish faith and the Jewish people. 1. Describe the ceremonies and symbols related to Jewish holidays and life-cycle events. 2. Discuss major events of Jewish history and issues they raise. 3. Explain Jewish concepts of God and prayer. 4. Identify the contents and message of various types of Jewish literature, from the Bible to modern writings. 1. Attend the classes regularly. 2. Attend ten Shabbat or holiday services. 3. Meet twice with Rabbi Karol prior to the conversion ceremony (and throughout the class series). 4. Complete the take-home project distributed at the end of the course. a) How does the author deal with the theme of Judaism in its widest sense? b) What Jewish values do you believe are expressed in the book? c) With which character(s) did you most closely identify and why? d) What insight into your own Jewish identity have you gained through reading this book? 6. Be able to recite the Shema from memory in Hebrew and English. a) Do you choose to enter the eternal covenant between God and the people Israel and to become a Jew of your own free will? b) Do you accept Judaism to the exclusion of all other religious faiths and practices? c) Do you pledge your loyalty to Judaism and to the Jewish people under all circumstances? d) Do you promise to establish a Jewish home and to participate actively in the life of the synagogue and of the Jewish community? e) Do you commit yourself to the pursuit of Torah and Jewish knowledge? f) If you should be blessed with children, do you promise to raise them as Jews? 8. Choose whether or not you wish to observe the ceremonies traditionally associated with conversion: milah (circumcision for men) and tevilah (ritual immersion in a ritual bath – a mikveh – for both men and women). 9. Meet with a Beit Din – a committee comprised of the rabbi and two lay members of the community – prior to the conversion ceremony and after completing the first five requirements above. 10. Schedule your conversion ceremony.